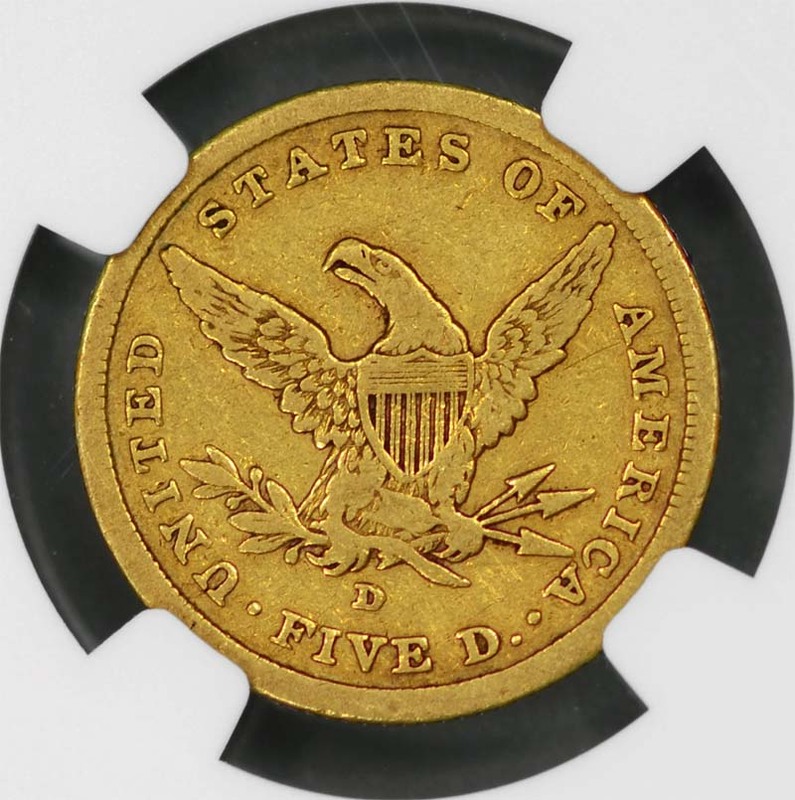 The 1842-D Small Date, Small Letters half eagle can be found in Very Fine or Extremely Fine without too much difficulty. 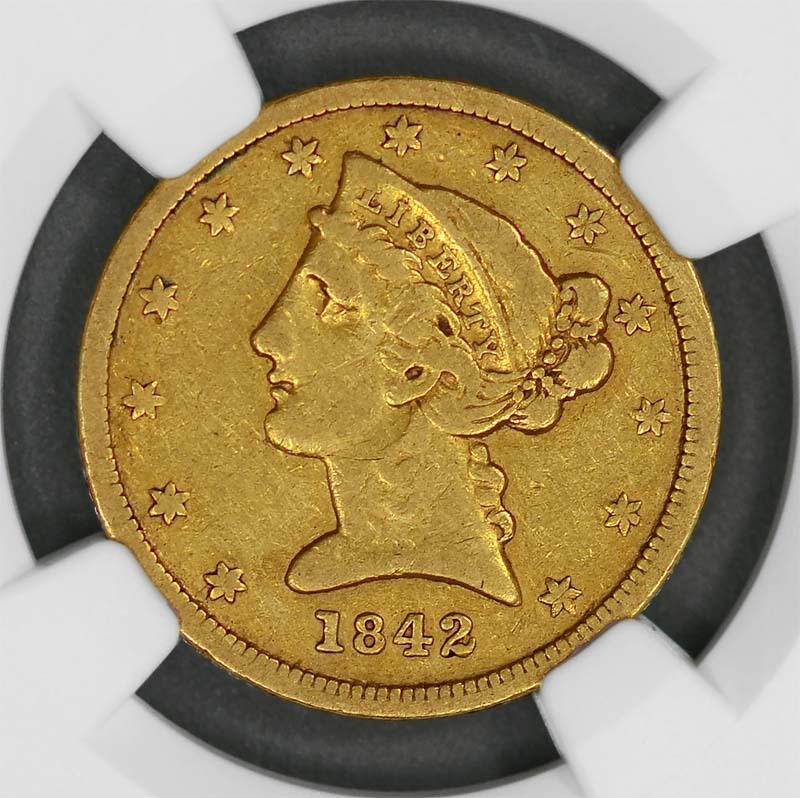 However, finding a coin that is problem-free or not harshly cleaned can be difficult. 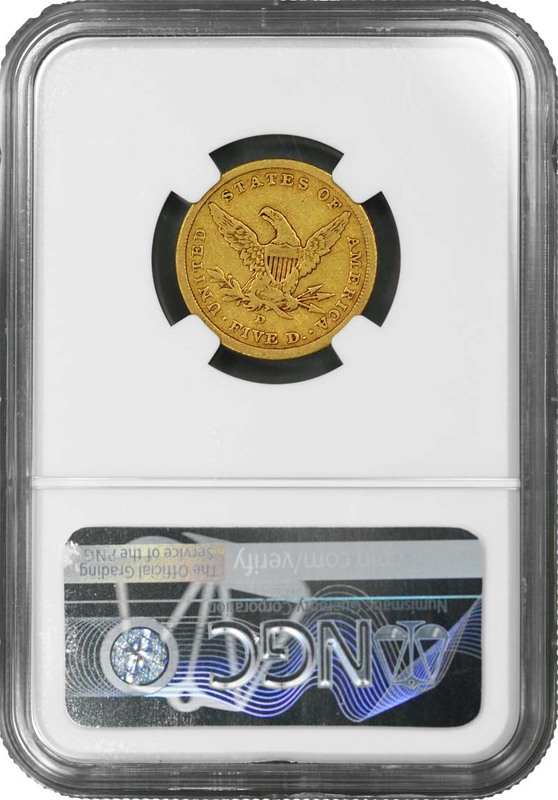 This issue becomes increasingly rare in the higher states of preservation. There are probably fewer than a dozen examples that would qualify as Mint State. The finest known example of the date was part of the Duke’s Creek Collection. 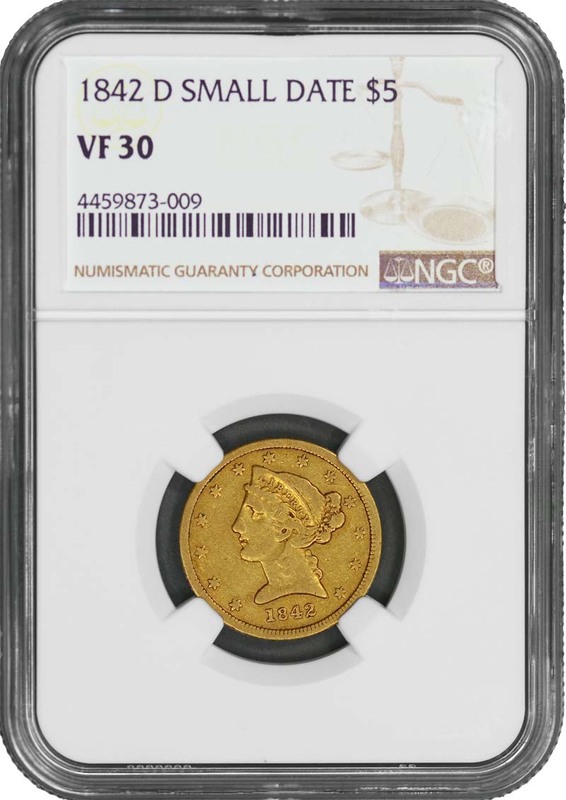 Originally from the Eliasberg Collection, it was subsequently graded MS-63 by NGC, making it the only example to earn that grade thus far.